In-Home Respite Care Services: This service provides caregivers' temporary relief from the physical and mental demands associated with care of an adult with physical disabilities. Individuals 16 years of age and older are eligible and must be able to self-direct their own care. In-Home Attendant Services: Attendant care provides non-medical services in home between 6 a.m. and midnight for adults with a physical condition that requires homemaking services and assistance with tasks of daily living. The individual must be able to self-direct their own care. Offers summer school/camps, holiday programs and education and information for persons with autism or pervasive developmental disorder and their families. Also provides an Autism resource lending library. Offers flexible and family directed in-home respite care and summer support for families of children with an intellectual disability between the ages of 13-64. Assist individuals who have an intellectual disability and/or families who are eligible for Special Services At Home with all aspects of their contracts. Provides funding for respite services for children with complex medical and/or physical needs and are technologically dependent. Provides respite services to families with children between infancy and 18 years, who have developmental, physical and/or behavioural challenges. Includes an in-home worker and/or out of home respite services. WWF is a respite care program designed to offer short term relief to parents of children with developmental challenges and/or disabilities, who are between the ages of 8 - 18. The program offers structured quality care in a fun and supporting environment with a high ratio of trained counsellors. See the Financial Assistance section on this website for more details on the Enhance Respite Program. See the Financial Assistance section on this website for more details on the SSAH Program. The Kids Country Club is a wheelchair accessible respite home in London. This program provides a weekend away from home with social and recreational events for eligible children from birth to 18 years of age, who are technologically dependent and/or medically fragile. The physical and medical needs of all participants are met by professional staff, including Registered Nurses, Registered Practical Nurses, and Developmental Service Workers. This program is funded by The Ministry of Children and Youth Services and administered by the agencies below. 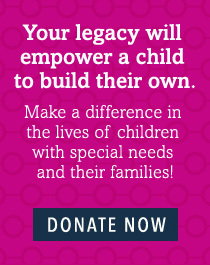 It provides funding for respite services to families of children with special needs. Contact Family Respite, Community Living Windsor or Community Living Essex County to apply by using the above listed contact information.